Over on A Flurry Of Ponderings my friend Missie is hosting a week-long event of Bookies into Foodies; which is a week of book bloggers making food things from their favorite books! I am guest posting over on her blog later this week, but I thought I would join in here on United Cakedom. Plus it fits right in with my Story Book Bakes posts. 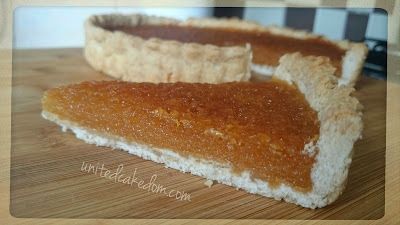 So, today I am sharing a British classic the Treacle Tart. It’s not very often I re-read books, with so many different ones to read why go back to something you already know how it ends? However there are several books that have cracked spines and smudged pages due to the amount of times I have read them. Soulless, the first in The Parasol Protectorate series is one of those. As the first of the series it is the most loved. It’s what drew me in and made me want more. Alexia Tarabotti, the leading lady, resides in England during the Victorian times. However, it’s not exactly like we remember it. Werewolves and Vampires are acknowledged as law-abiding members of society. They hold down respectable jobs in the military and police force as well as host the best balls and start fashion trends. It is also acceptable to want to become one of the super natural. All you have to do is pay your dues by either being a claviger to the werewolves or a drone to the vampires. Then hope that you have excess soul to survive the transformation. Even if Alexia wanted to go down that route, she couldn't. See she was born with out a soul and that is where the fun begins! 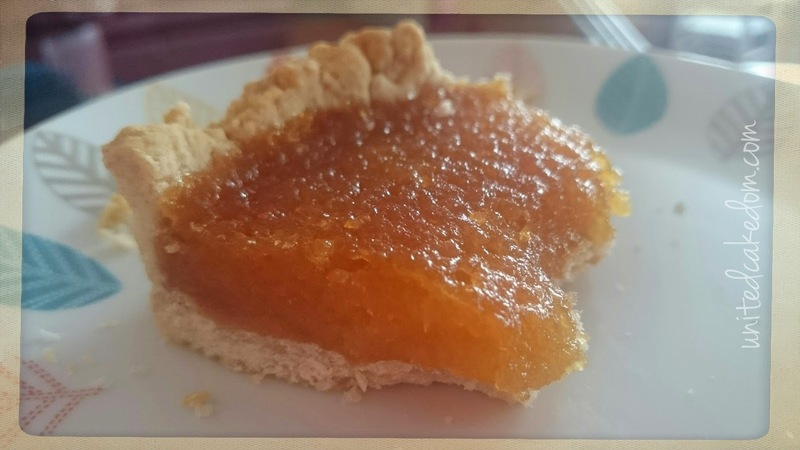 In the first chapter of Soulless, on the second page Alexia sneaks away from a boring ball to take tea and it includes a plate of treacle tart. Only a rude vampire that doesn't know the first thing about proper etiquette squashes it. It’s the first, but not the last time that this sticky classic treat is mentioned throughout the series’. The whole series offers a lot of fun and shenanigans, mystery and mayhem, and a lot of tea breaks. Before you sit down to read the series (if you haven’t already) make this treacle tart, a cup of tea, and get stuck in! Heat the oven to 200C/Gas 6 and grease a 8 or 9 inch tart tin with butter and lightly dust with flour. Combine the flour and butter by rubbing together with your fingertips until it resembles breadcrumbs. Add a tablespoon of milk at a time until you can bring the dough together in a ball. Leave in the fridge for at least 30 minutes. Roll out the dough and line the tart tin, using a fork prick holes in the bottom of the pastry. Mix the breadcrumbs, golden syrup, and juice together (I only had a satsuma in my fridge so used that!) and pour into the pastry lined tart tin. Bake in the heated oven for 30 minutes. 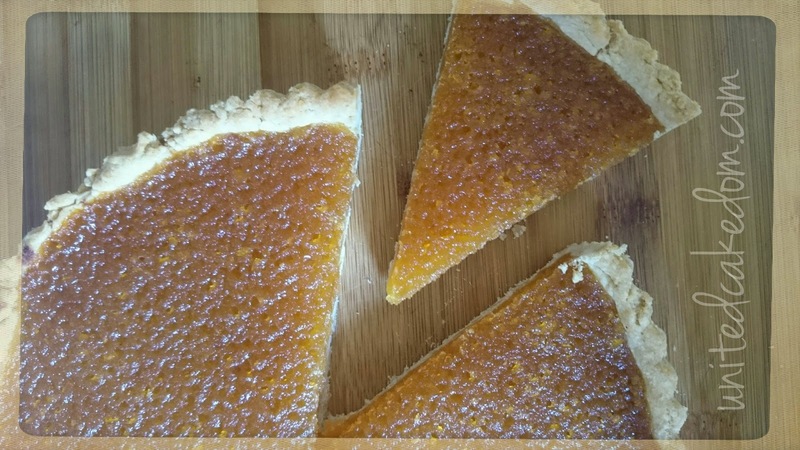 Slice and enjoy with or without clotted cream. notes: Check out A Flurry of Ponderings for a week of Bookies to Foodies fun! 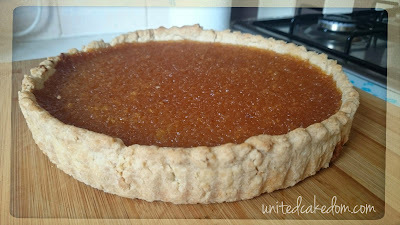 Thank you Jen for sending me your noted and tried recipe for Treacle Tart! What is golden syrup? This looks so good! I think I need to make it! The tart looks really good, it's been ages since I last made one, so glad you liked the recipe, I can't remember where I scribbled it down from as it was a long time ago!